NBA basketball player, Dwyane Wade’s awe-inspiring brilliance on the court is well documented. The seasoned pro is a three-time NBA champion, winning playoffs in 2006 and back-to-back in 2012 and 2013. A few more impressive career statistics: He had the top-selling jersey in the league for nearly two years and helped the United States men’s basketball team take home gold at the 2008 Summer Olympics in Beijing. 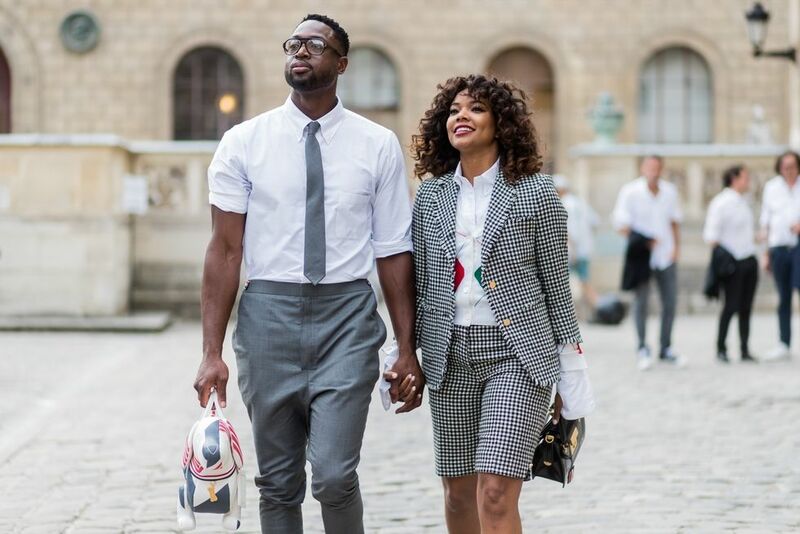 But Wade didn’t carve time out of his busy schedule to talk in-depth basketball to a fashion magazine. He wants to discuss his personal style evolution and how he, alongside friends and peers Lebron James and Carmelo Anthony, collectively spearheaded a period that we’re dubbing the golden age of off-court appearances. 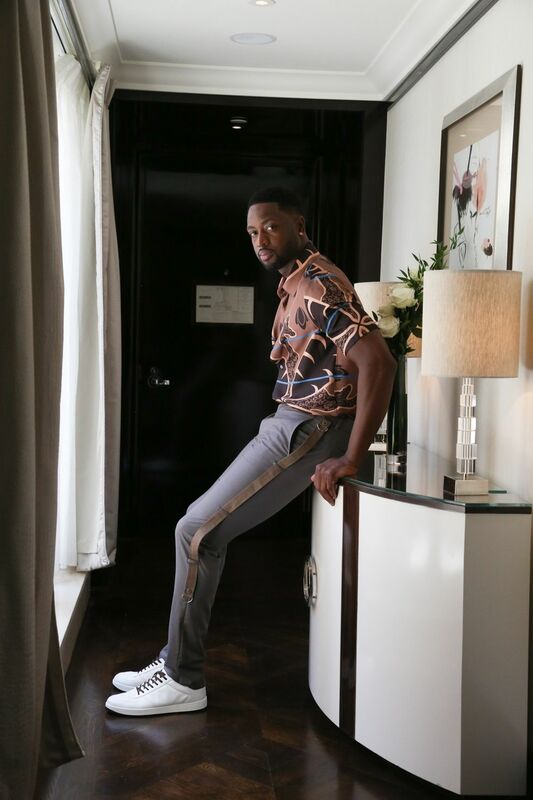 Thanks to Wade and co., in 2017, younger players like Russell Westbrook are free to explore high fashion in a way that wasn’t previously possible for an athlete. Scoring access to clothing in general didn’t come easy to Wade as kid; He was born with the cards stacked against his favor in 1982. Growing up on Chicago’s notoriously dangerous South Side, he triumphed over adversities that no small child should ever have to face. His parents, JoLinda and Dwyane Wade Senior, conceived him as teenagers and separated when he was just four months old. His mother (now a reformed preacher), was in and out of prison throughout the duration of his childhood; she was charged with dealing drugs and struggled with addiction to several substances including heroin and crack cocaine. Police raided Wade’s house with guns looking for her when he was six, and he reportedly found several dead bodies in trash cans near his house at a similarly young age. 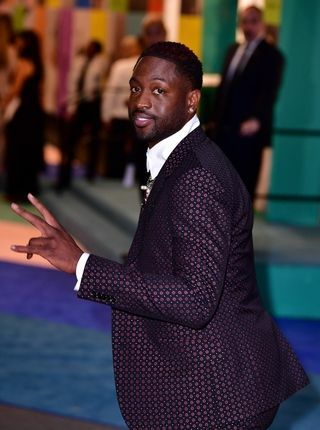 With so much going on at home, most would assume that Wade didn’t pay attention to what people wore—but he did. “I wasn’t fortunate enough to be able to buy much, but I noticed the little things. I used to put items of clothing in my memory bank for if I ever came into money, like ‘I’ll save that right here just in case some cash comes to me.’” Back then, his most-wished-for items included a sharp suit like his Dad, and sneakers—most likely Air Jordan’s, named after his favorite player in the league. With the ascension of Wade’s professional career at Miami Heat came great fame, and a great fortune too. Forbes quotes Wade’s current net worth at a whopping $36.2 million and ranks him the 19th highest-paid athlete in the world. Last year marked a homecoming for the 35-year old player; He signed a two-year deal with the Chicago Bulls, worth upwards of $40 million. 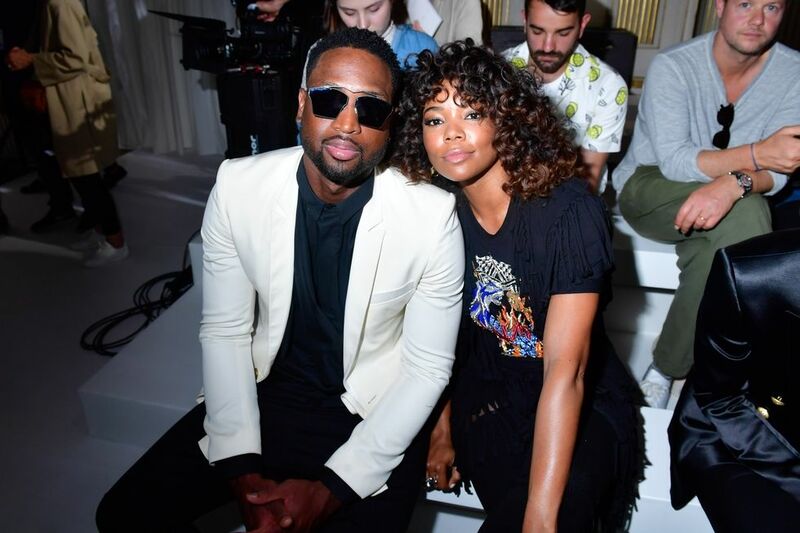 Yet it was the initial rocket-jump in funds from his first contract over a decade ago that granted Wade the means to start experimenting with his look. After taking care of his family financially, the first big-money purchase he remembers signing off on was a suit. Soon after that, the endorsement deals started rolling in. He had his next suit custom-made. Today, Wade endorses 15 brands, the most prolific being an on-going contract with Chinese shoe company, Li-Ning. Paris is also a convenient location to realize Wade’s long-term dream of growing his name into an all-inclusive lifestyle brand. “I don’t like to think about my life post-basketball yet,” he says to end the call, “but I’d definitely like to build some kind of lasting empire for my kids to hold on to.” He doesn’t come right out and say it, but I couldn’t help but get the feeling that he might already have a plan up his sleeve.